It was just last week that I was singing NetEnt’s praises for having won the Innovation of the Year Award at the Global Gaming Award. Now I’m back with more good news from the renowned developer, and this time it’s great news for players as well as NetEnt itself. 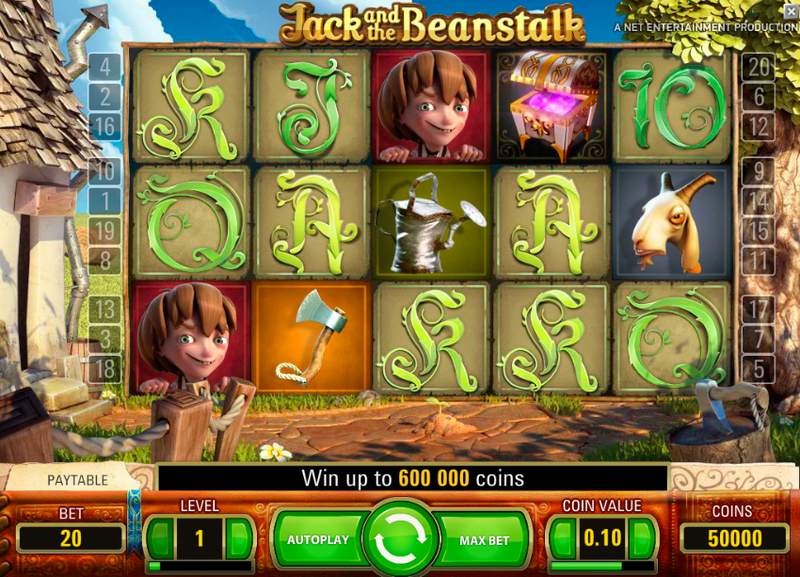 As part of yet another effort to increase its mobile offering, NetEnt has announced that it will be releasing a mobile version of its hugely popular online slot Jack and the Beanstalk. How much do we know about the game? At this point, even weeks before the releases, quite a lot actually, and there’s two big reasons for that. The first is obviously that this game has been available to play on desktops for a very long time now, and NetEnt has proved time and again that its mobile, or ‘Touch’, versions of its games stay as true to the original as possible, so you can get a pretty good idea of what to expect by playing the desktop version. So what should you be expecting? Theme wise, the title of this slot pretty much speaks for itself. You remember the story of Jack and the Beanstalk? Yeah, this is that story in slot form. NetEnt has embellished the fairy-tale with 5 reels, 20 paylines, and the vivid 3D graphics which made the desktop version of this game such a huge success. On top of these basic elements, you’ve got a whole load of special and bonus features, including Extra Spins (three scatter symbols triggers 10 Extra Spins); Walking Wilds (wilds which trigger respins, and move around the reels to increase your chances of winning); and Treasure Collection (a whole can of worms which can see you collecting Money Bags, Golden Hens and Golden Harps, all of which mean a load of cash for you). No word yet on a release date, but given that there’s no releases timetabled for November yet, it seems likely that we’ll be seeing it in the next month or so, in keeping with NetEnt’s a-game-a-month commitment. The popularity of the original game is undeniable, and it seems likely that this mobile version will prove to be an immediate success.